Egypt is in talks with global shipping firms to change the way it charges vessels to pass through the Suez Canal, offering discounts for advance payments as it seeks to raise much-needed hard currency from a struggling industry. Denmark's A.P. 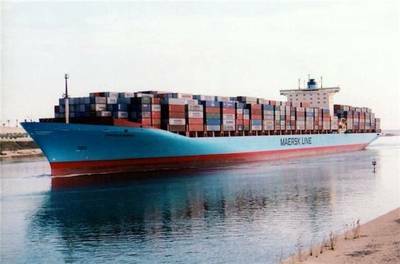 Moller-Maersk, which runs the world's biggest container shipping line, said on Tuesday it was considering proposals from the Suez Canal Authority for a new toll system. 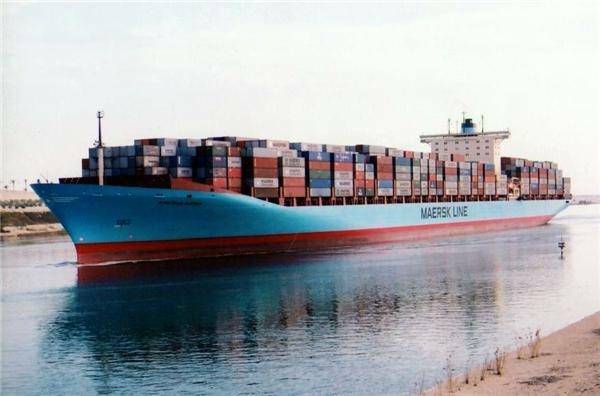 "They have proposed a new payment method and presented it to us, and we are looking at it now," a spokesman for its Maersk Line shipping arm said, confirming a newspaper report and that advance payments were under discussion. The Suez Canal is one of the main sources of foreign currency for a country that has struggled to overcome a crippling dollar shortage since an uprising in 2011 caused an exodus of foreign investors and tourists. Egypt aims to double its revenue from the Canal by 2023 with the construction of an extension to the waterway that was completed this year. Canal Authority Chairman Mohab Mamish was quoted as telling the Wall Street Journal it was now looking to levy charges three or five years in advance in exchange for a 3 percent discount. Traffic though the waterway linking the Mediterranean and Red Sea has been hit by fallout from the political instability as well as a slowdown in global trade. That slowdown, together with a glut of vessels, has left the container shipping industry struggling with its worst ever market conditions, battering earnings and forcing one major player - South Korean container line Hanjin - out of business in August, leaving an estimated $14 billion of cargo stranded. Mamish told the newspaper on Tuesday that talks with Maersk, Geneva-based Mediterranean Shipping Co. and France's CMA CGM were going well, and that an agreement on a new system for the start of 2017 might be reached as early as next week. Egyptian President Abdel Fattah al-Sisi inaugurated an $8 billion expansion of the Suez Canal in August 2015 with a view to doubling daily traffic and increasing annual revenue to more than $13 billion by 2023. But its receipts declined by 4.5 percent to $5.1 billion in the year to June, when Egyptian exports totalled $18.7 billion. Telephone calls to Mamish and his office in Egypt were unanswered on Tuesday. CMA CGM had no immediate comment. Representatives of the major container shipping companies are meeting this week at a conference in Copenhagen. It was unclear if the potential discounts on offer might persuade them to increase their use of the canal.